MMR vaccination. 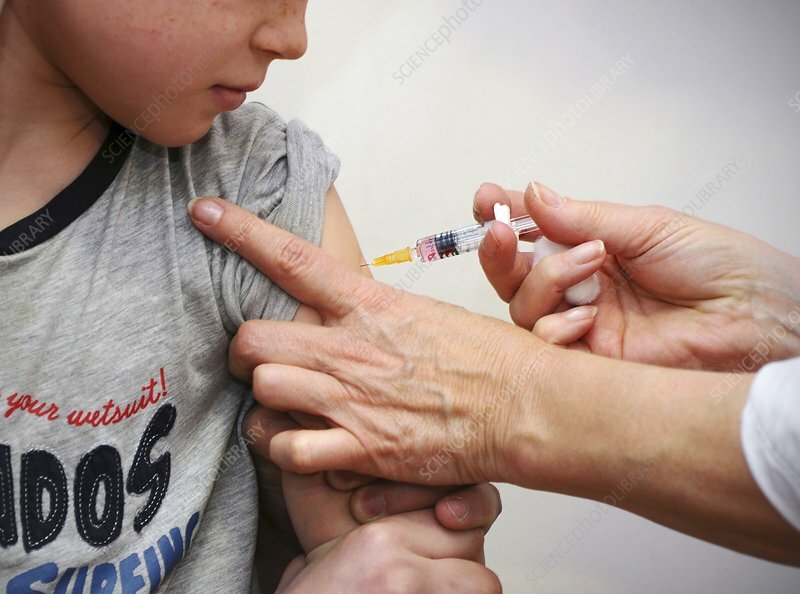 Boy being injected with the MMR vaccine. MMR is a combined vaccine used to prevent three diseases: measles, mumps and rubella. Photographed in Lyon, France.